In 2005, The Energy Cooperative’s Board of Directors adopted a Community Service Program called Operation Round Up. The program “rounds up” a member’s bill to the nearest dollar and that amount (which is completely tax deductible) is donated to local charities in our service area.  All funds stay in the community to benefit the members of The Energy Cooperative. The average amount any given member donates is just $0.50 per month, with the maximum being $12 per year. Members are automatically enrolled, and their bills are rounded up effective October 1, 2005. Your bill will show the rounded up amount, as well as the actual amount. At year’s end you will receive your total contribution for that year on your monthly statement. If you choose not to participate in this community service program, call Member Services at (800) 255-6815. A separate foundation was established to oversee the program, called The Energy Cooperative Round Up Foundation, Inc. Operation Round Up is having a favorable impact on our community and is available to eligible parties in our service area – not just members. Other cooperatives with Round Up programs have allocated funds to fire departments, senior citizen centers, school programs, agencies for the disabled, youth programs and in some cases to individuals with special needs. Typically, Operation Round Up is a funding source of last resort, when other funding sources have been depleted. Programs of all types are eligible, as long as the funds are not used for utility bills and the organization is non-political and non-controversial in nature. Usually the funds are disbursed to groups who demonstrate a need that benefits not only them, but the overall community as well. Programs of all types are eligible for Round Up grants, as long as the funds are not used for utility bills and the organization is non-political and non-controversial in nature. Usually the funds are disbursed to groups who demonstrate a need that benefits not only them, but the overall community as well. Do you know an organization who could benefit from an Operation Round Up Grant? Application materials need to be received ten days prior to the meeting date for consideration at that meeting, except in November when the application materials need to be received by November 17, 2018 for early disbursement before the Holidays. The meeting dates for 2019 are as follows: February 5, April 2, June 4, August 6, October 8, and December 3. Accountability – The candidate demonstrates a high level of maturity through accountability for their actions. Integrity – The candidate expresses highest standards of character. Innovation – The candidate demonstrates innovation and determination in development of their future plans and making their goals a reality. Community Commitment – The candidate has good citizenship traits and a record of contribution to their local community. Applicants must be a graduating high school senior who has been accepted at an accredited four year college or two year technical school and is the son or daughter of an active Energy Cooperative Operation Round Up Foundation Program participant. For more information and qualification, please visit your school Guidance Counselor or see the scholarship packet information below. The Energy Cooperative Operation Round Up Foundation Board is pleased to provide a $2,500 Scholarship named in memory of John C. “Jay” Barker. Mr. Barker was elected as the first Chairman of the Operation Round Up Foundation Board upon establishment of the Foundation in October of 2005. To be eligible for the JAY BARKER SCHOLARSHIP, students or their parents must be members (customers) of The Energy Cooperative and either a high school senior or enrolled in college. Qualified candidates or their parents must be a resident of LICKING COUNTY. The Jay Barker Scholarship was created for those who plan to pursue a future in business or finance. The Scholarship will be awarded at The Energy Cooperative’s Annual Meeting of Members held in May. *Members of the immediate families and persons residing in the households of Directors, Managers, and Distribution cooperative employees and OREC or affiliated organization employees are not eligible to participate.the households of Directors, Managers, and Distribution cooperative employees and OREC or affiliated organization employees are not eligible to participate.